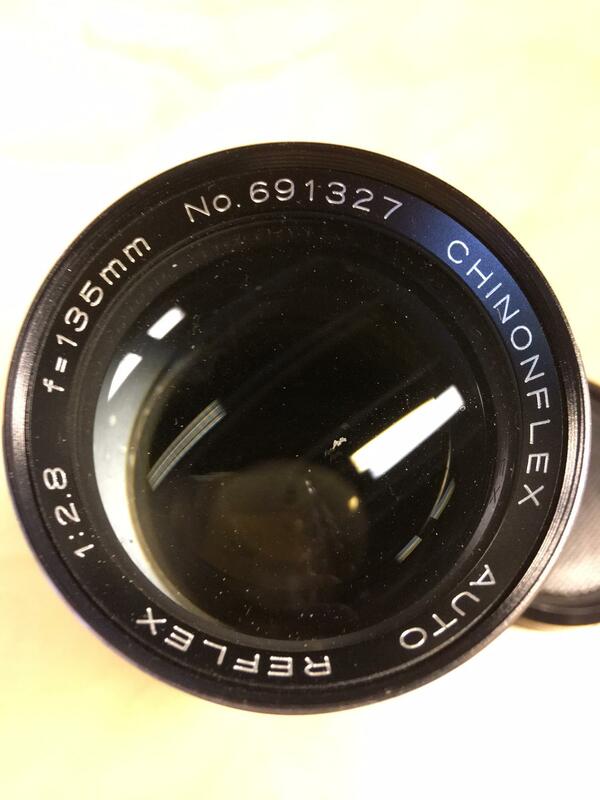 What is the breech mount on this Chinonflex lens? What is the mount on this Chinonflex Auto Reflex lens, 135mm f/2.8 No. 691327? It has a breech mount. Canon FL/FD lenses are among the most well-known breech-mount lenses. You can easily confirm the mount by attaching the lens to a camera with an FL mount. If you are looking for an adapter, it is compatible with the Canon FD mount using stop-down metering. See Evolution of the Canon FD Mount. If you'd like, you can measure the mount diameter to compare with a list of lens mounts (alphabetical, by-register, Wikipedia). The lens is being held with the front element away from the camera. Note the extreme converging lines of the lens barrel. The camera is also likely being held at an unusual angle and position very close to the lens. Note how the pin appears to have different lengths in the last two pictures with just a small change in camera position. The ring the pin is sticking through is recessed. This makes the pin appear longer than it otherwise would. It seems unlikely that not having a moving mirror would allow the Pellix to be able to take a longer pin. 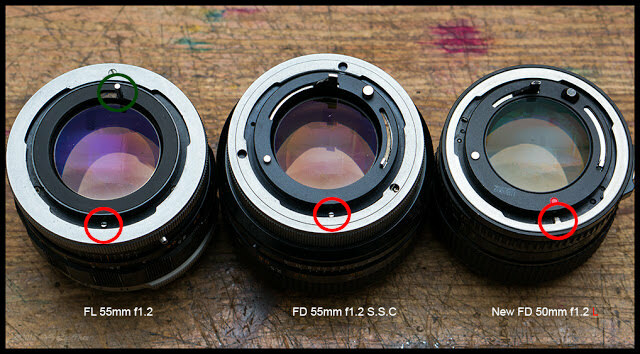 The mirror in FD mount lenses is above the aperture-control linkage. Whether a mirror is present or moves does not affect how long the pin can be. 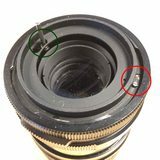 This is an old thread, but if anyone's still interested I think that lens is in Canon FL fitting. This used the same breech lock mount as FD, with auto diaphragm but without all the meter coupling features. It was used on cameras such as the Canon FT and Pellix, while the lenses can also be fitted to many FD SLRs for stopped down metering. It is not a bayonet mount, which is far more common, but rather a breech lock mount. The bayonet lugs would have been on the camera side of the connection between lens and camera. It is not a normal example of either of the two most common breech-lock mounts: The Canon FD mount or the Canon FL mount that preceded it. The pin extends further past the flange than most FL or FD mount lenses. It looks very similar to a Miranda type mount, but with only three lugs instead of four. It also looks a lot like a T4 or TX interchangeable mount system but those were only made by Vivitar and Soligor. 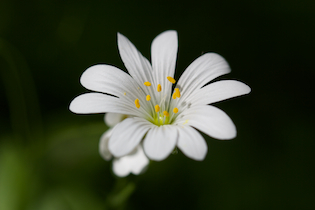 The Tamron 'Adaptall' system was similar but this lens isn't a Tamron clone either. Chinon made their own cameras as well as lenses for other mounts, but Chinon chose to adopt the Pentax 'K' mount for their cameras. This lens isn't a Pentax 'K' mount. The 'A' and 'M' switch (for 'Auto' and 'Manual') indicate it is made for a system that had the ability to automate the aperture being stopped down just before the shutter opened. But that pin on the back of the lens looks too long for most FL/FD mount cameras! There is one remaining possibility: This is an FL mount lens intended to be used only on the Canon Pellix or its follow up, the Pellix QL. The pin is WAY too long to be used on FL or FD mount cameras other than the Pellix. The Pellix did not have a reflex mirror. Instead it had a non-moving pellicle mirror that allowed about 2/3 of the light that fell on it through to the film plane and reflected about 1/3 of the light up through the focusing screen to the viewfinder. The FL P 38mm F2.8 also projected into the mirror box. It was specially designed for the Pellix and could not be used on any other camera because the moving mirror would hit the rear of the lens. 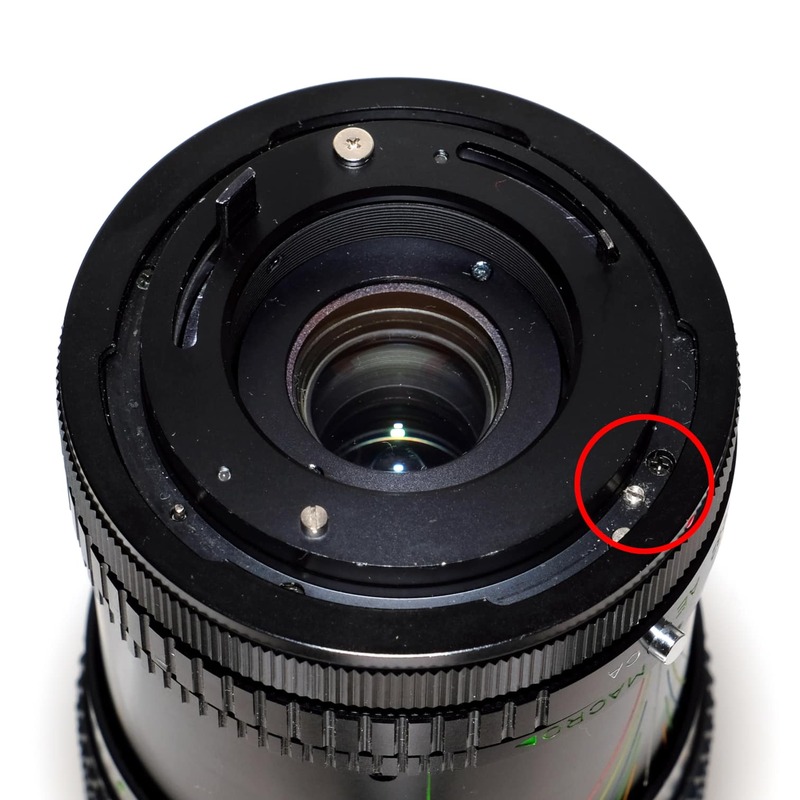 This lens had a longer lens mount index (the pin on the back or the lens at the top), that only fit the deeper cutout at the top of the Pellix's lens mount, thus making it impossible to mount this lens on any other camera. 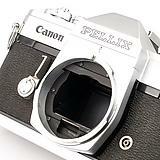 The reason for the FL P 38mm 2.8 was to allow a rear lens element to protrude into the light box in a way that it would have been struck by a reflex mirror swinging up to the focusing screen. There's no obvious reason why a telephoto lens such as a 135mm would need to protrude well into the mirror box. Perhaps someone at Chinon copied the geometry of the back of a Canon FL P 38 2.8? 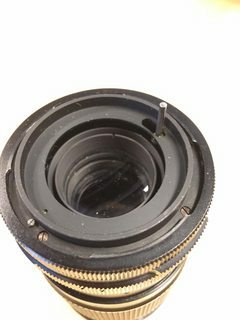 Perhaps someone salvaged the mount assembly from the back of a Canon FL P 38 2.8 and attached it to the back of a CHinon lens originally made for another mount? 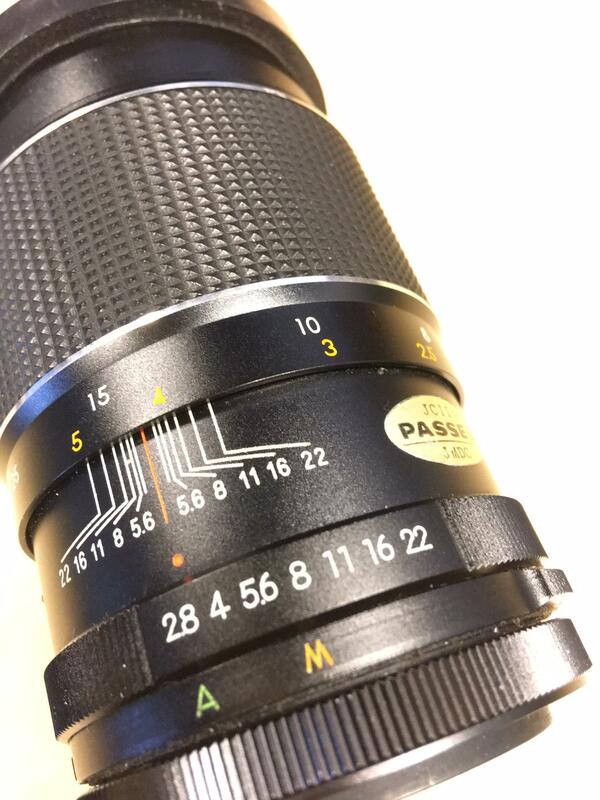 Whatever the reason, with that longer pin, this lens might only fit a Pellix or Pellix QL. This mount is called a Breech Lock. 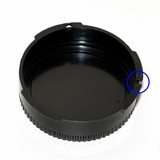 It is similar to bayonet mounts in that tabs are used to lock the lens and body together. 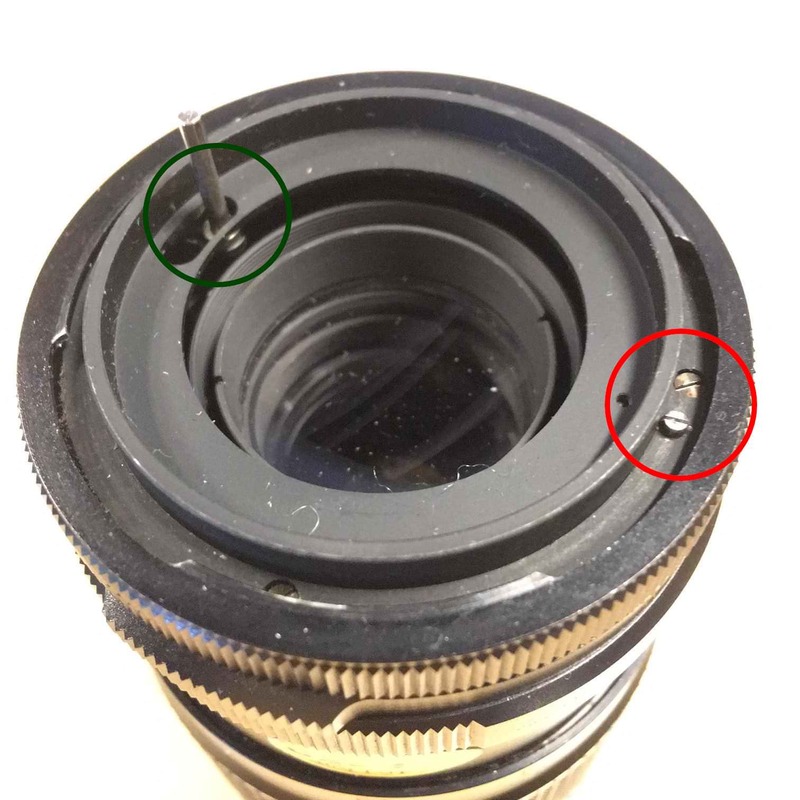 The difference is in bayonet mounts, the entire lens is rotated to form the lock. In a breech mount, the lens is fit to the camera in correct orientation and a ring, on the lens or camera body, is rotated to lock it in place. A pin extents out and mates with a mechanism that controls the working diameter of the iris. 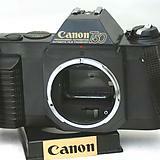 This was first introduced by Carl Zeiss Optical Germany, and variants are used by many camera makers. Not the answer you're looking for? Browse other questions tagged lens-mount equipment-identification breech-mount or ask your own question. 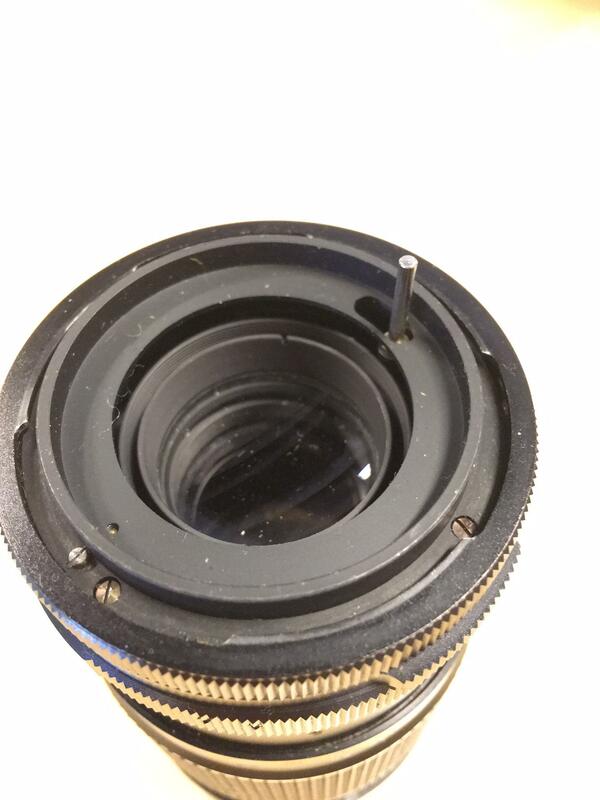 What is the breech mount on this Hanimex lens? 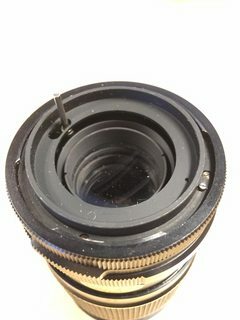 What type of lens mount is this SOM Berthiot? 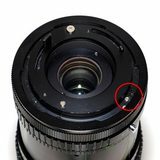 What is the mount on Vivitar lens with MIR printed on mount side? What kind of mount does this breech-lock Tair-3 lens use? What is this old 50mm f/1.9 lens? What mount system is this Raynox lens? What is the mount on this Vivitar 85-205mm F3.8 lens? What lens mount does my Fujinon135 f/3.5 lens have? What is this breech mount with three flanges and a single linking pin? What is the mount on this Elicar 85-205mm F3.8 lens?